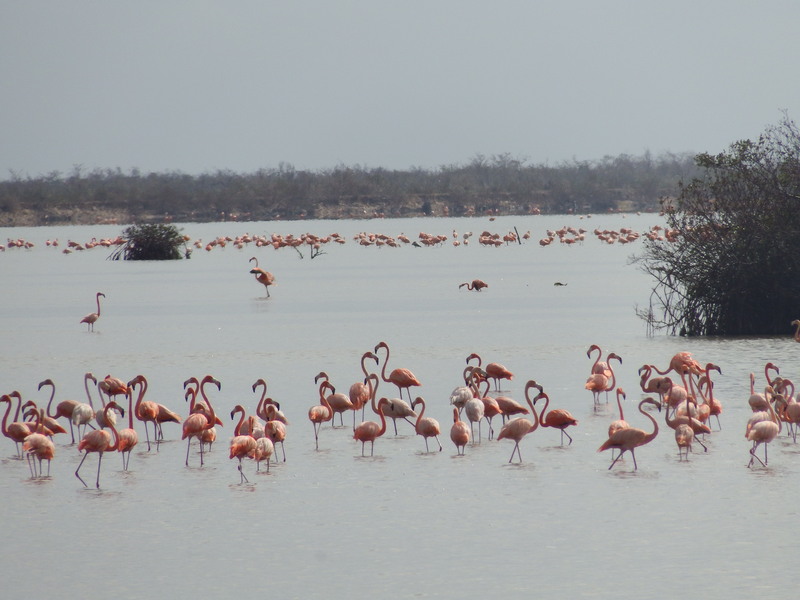 The Bahamas National Trust is thrilled to announce that the flamingos are back in Inagua in abundance. It’s No Secret! Our Flamingos are Back! 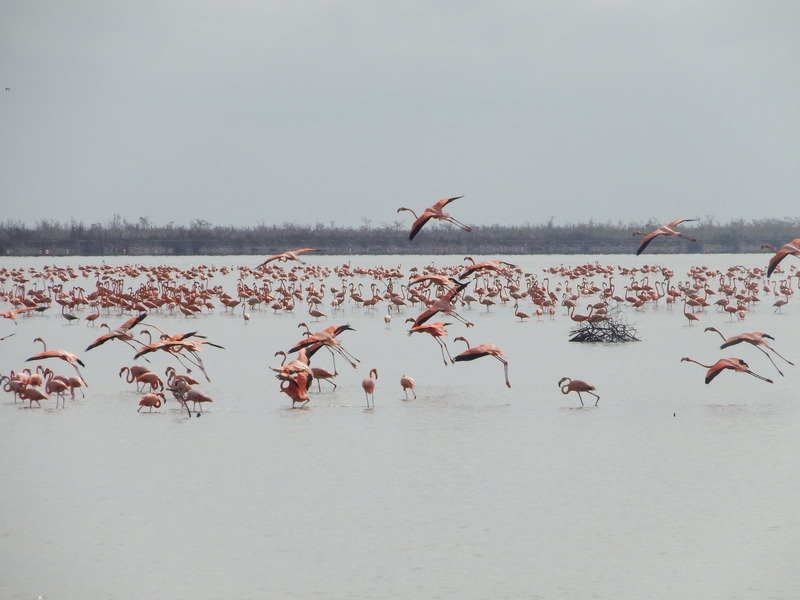 BNT Warden Randolph Casper Burrows was able to travel into the Inagua National Park on Thursday, post-Irma, where he found thousands of West Indian Flamingos feeding happily on the hyper saline interior wetland known as Lake Rosa. “ We are of course thrilled with the news,” said BNT Executive Director Eric Carey. “However, Hurricanes such as Irma actually make us realize how much we do not know about our flamingos.” The Inagua Flamingos have not been banded since the late 1970’s and while a regional banding programme was begun about 6 years ago it was not continued due to lack of funding. 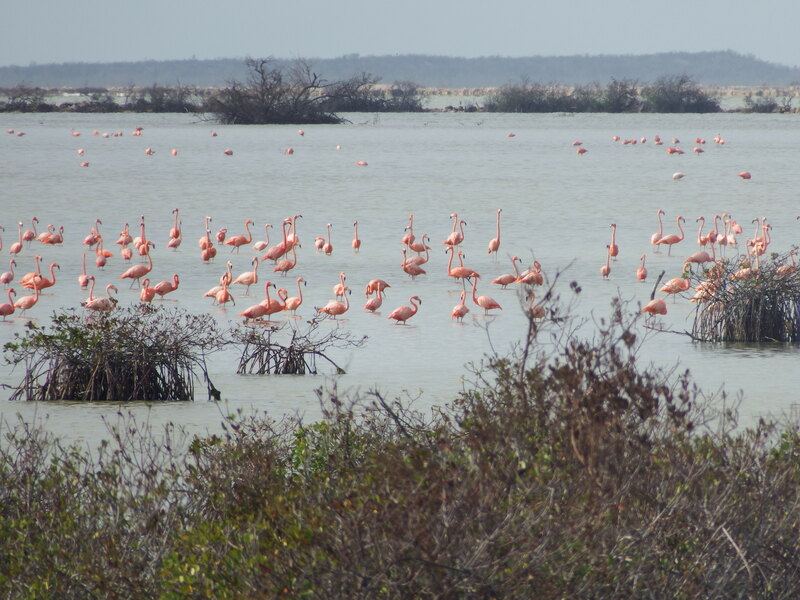 “It would certainly be good to know if the flamingos we are seeing on Lake Rosa are Inagua Flamingos or perhaps a mix of birds from the Dominican Republic, Cuba & The Bahamas.” said Carey. The island of Inagua is home to a breeding colony of over 50, 000 West Indian Flamingos. As hurricane Irma approached Inagua, my concern was whether the flamingos would leave, and if not, how would they fare. Early on the morning of Thursday September 7th – prior to Irma’s arrival later that day – , Volunteer Deputy Gian “Tummy” Burrows and I made a patrol of the lakes system to see if any flamingos were still there. As we passed through the Town Ponds, the old salt making site one mile east of Matthew town, we saw approximately 100 flamingos, half of which were immature. This had us worried as this would be the young one’s first storm and we were unsure whether their instincts would have them follow the adult flamingos. We did not see any other flamingos until we arrived at a location along North Dam Road where, in the weeks prior, we had seen about 20,000 (YES – twenty thousand!). To our delight there were only about 2000 birds which to us was a good sign – most of the bird were evacuating. On Friday morning, as the winds and rain eased up and we were able to go outside, we could see that Irma had spared Inagua for the most part. After checking on the community to make sure everyone was safe, Tummy and I drove out to the town ponds area, and to our surprise and excitement there were Flamingos, alive and well. As the wind was still gusting, we observed some small flocks hunkered down behind the mangroves. In total we counted about 100 flamingos in that area alone, feeding in the ponds as if nothing had happened. Further exploration of other areas were hampered as the road was covered with rocks and debris that had washed up from the ocean. Each day post-Irma we travelled a little further and had sightings of between 100 and 1,000 flamingos hanging out in different areas of the park. On Thursday morning after the Morton Salt crew had finished clearing most of the roads, a few of us headed out and were finally able to get out to North Dam, and low and behold, Flamingos. Thousands of em!!! We breathed a sigh of relief and took some photos to share on social media, knowing that so many followers around the world were worried, as we were. We continued to enjoy the view for a short while and then it was back to Matthew Town, to continue with the clean up efforts.